Like a lot of other people from my generation, the Harry Potter series was a huge part of my childhood. So much so that they lead me to my current career – but that’s a story for another time. 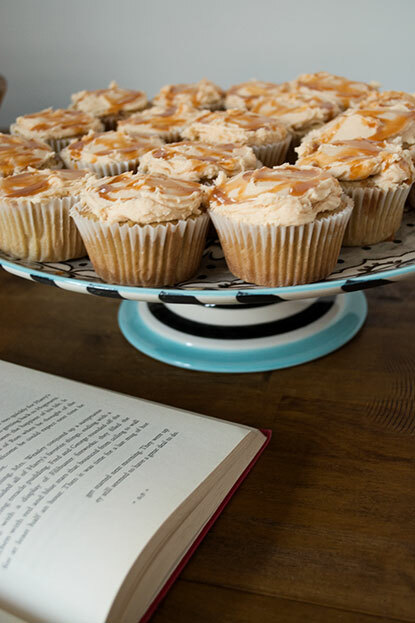 This recipe comes from a blog called ‘Amy Bites’, but I believe the blog is no longer active. I went to try and find the original but it lead me to a “Buy this domain page”, but if and when it ever comes active again, I’ll be sure to update this post. 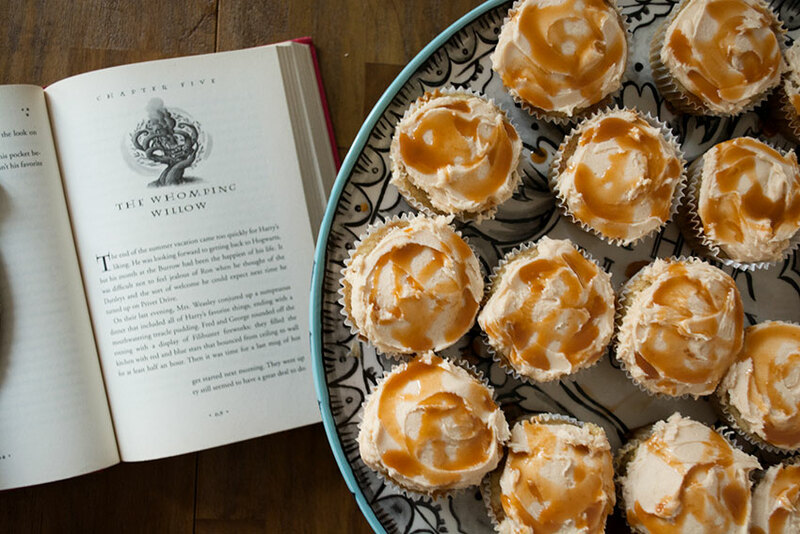 This cupcake is the first butterbeer recipe I tried and boy is it a good one. What makes it is the ganache – it takes the flavor to the next level and adds a bit of texture variety. I couldn’t find butter flavoring, so I changed the cake recipe around to adjust for both flavor and texture. 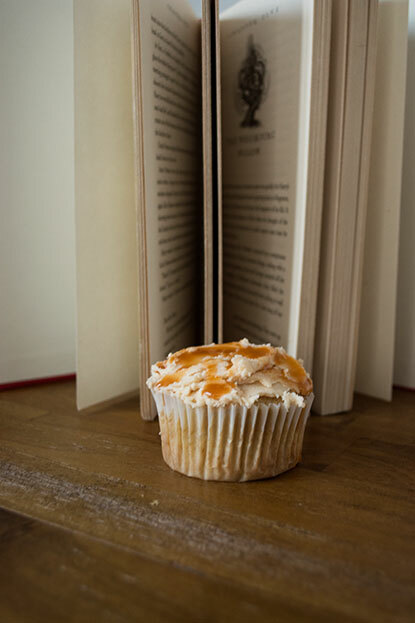 You could also pair this cupcake with a whipped frosting to mimic the foam of a butterbeer. Now I have a movie marathon to start. Have a happy Sunday! Preheat the oven to 350 degrees. 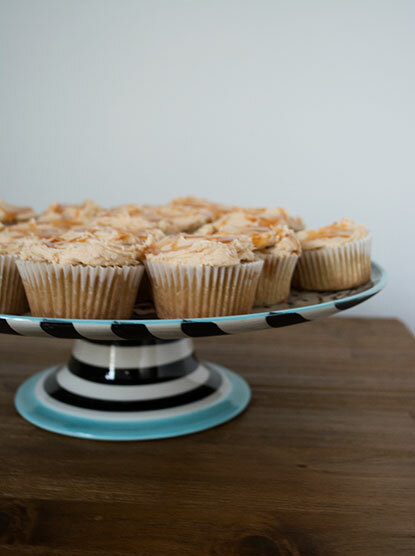 Line the cupcake tins with parchment paper or with muggle cupcake liners. 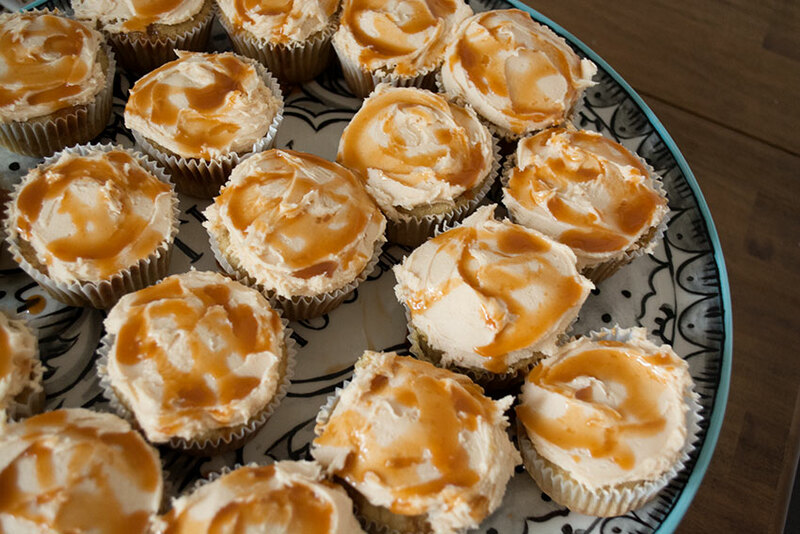 Cream together the butter and sugar until the mixture is light and fluffy – like the guard dog. Beat in eggs one at a time, with the batter getting lighter after each egg. Make sure to scrape down the edges to ensure an even mixture. Drop in the vanilla. In a small bowl, mix up the cream soda and buttermilk. In another bowl, whisk up the dry ingredients. Slowly mix these concoctions in alternatively, starting with the dry ingredients. Fill the cupcake liners about 3/4 of the way and bake in the oven for about 15-17 minutes. While those are baking, set up a double boiler. Toss in the butterscotch chips and heavy cream until they blend seamlessly together. Set that to the side and let it cool before pouring into a squeeze bottle. For the frosting, whip up your butter until it’s nice and fluffy. Add in the vanilla, ganache, and salt and mix it combined. Pour in the powdered sugar and beat it for about 2 minutes. Just before it comes together, you’ll start to get crumbs – just keep going. If it’s too dry, add in a bit of cream by the tablespoons until you reach the texture you are looking for. To assemble, squeeze the ganache into the middle of the cupcake until the cauldron overflows. 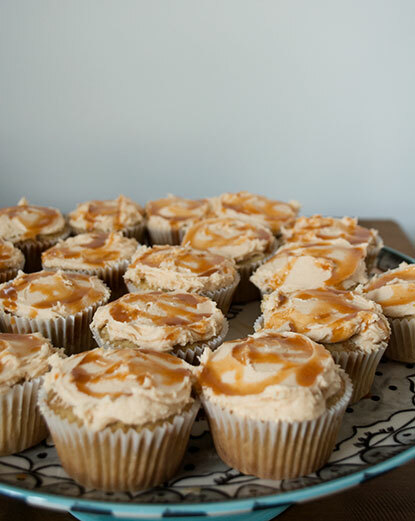 For the frosting, you can smoosh and spread like I did, or use the piping bag and tip of your choice. 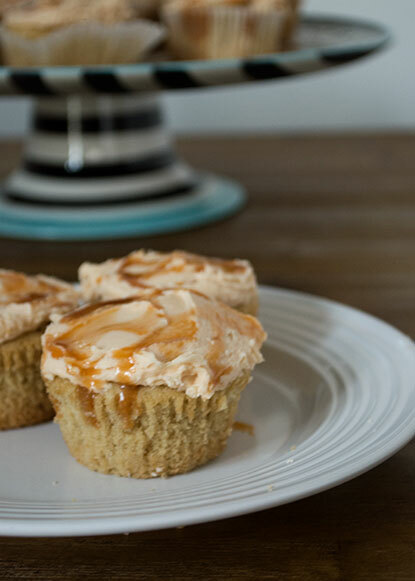 Drizzle on some of that good good ganache and you’ve got yourself a cupcake.